That’s because Hillary Clinton and Bernie Sanders are engaged in a spirited contest for the Democratic nomination. And while Donald Trump currently leads the delegate pack, three other Republican hopefuls are splitting up enough delegates to leave the outcome in doubt. That’s where Missouri and Illinois come in. Decisive victories in both states could provide a candidate with enough momentum and delegates to saunter toward a presidential nomination. That’s particularly true on the GOP side, especially if Trump can also carry winner-take-all states such as Ohio and Florida. Although a few of the delegates -- dubbed “superdelegates” by Democrats -- are political big shots who can back whomever they want, most will be allocated by Tuesday’s election results. In both states, for both parties, the delegates will be awarded under complicated proportional formulas. 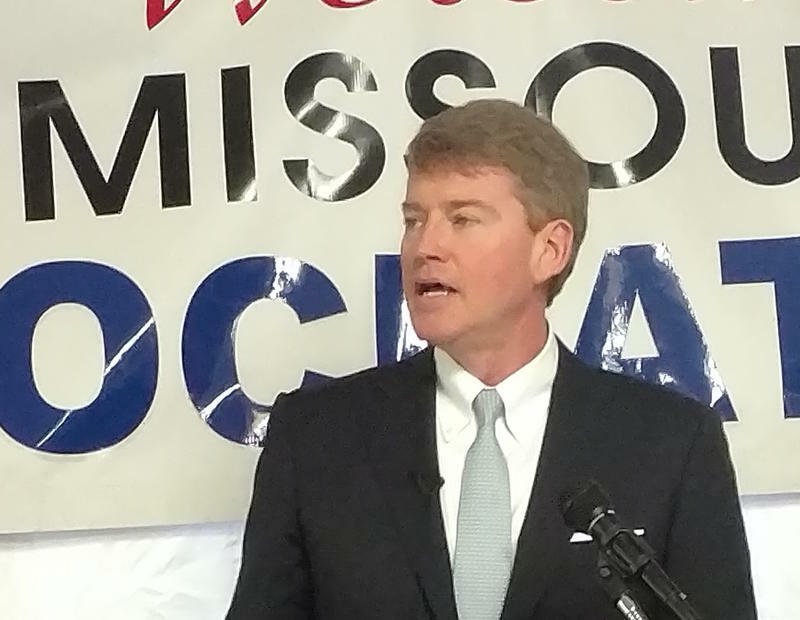 A key exception is the Missouri GOP primary, where one candidate could snag all the delegates if he gets more than 50 percent of the statewide vote. Missouri’s presidential primaries are “open,” meaning that voters can choose whichever party’s ballot they want. Missouri voters don’t register by political party and no record is kept of which party’s ballot a voter has chosen. Illinois has what’s officially called a “semi-closed” primary system. Voters can select which ballot they want, but a record is kept of that decision. Will a well-organized Clinton machine chug toward victory? Talk about a reversal of fortune: When Clinton ran for president eight years ago, then-Sen. Barack Obama bested her in Illinois and Missouri. Now, many of the political figures in both states who supported Obama then are Clinton’s side, including U.S. Sen. Claire McCaskill. Former Secretary of State Hillary Clinton has plenty of institutional support from key Democratic officials and groups. Clinton also snagged the backing of prominent African-American officials like U.S. Rep. Lacy Clay, U.S. Rep. Emanuel Cleaver, D-Kansas City, and St. Louis Comptroller Darlene Green. She also has the support of St. Louis Treasurer Tishaura Jones, who noted in a Sunday blog post that she "likes the possibility of being able to say Madame President," and to be able "to show my son that the leader of the free world is a woman." "I met Secretary Clinton during a stop last June in North County," Jones wrote. "She spoke passionately about issues that directly affect me as a single mom of a handsome, rambunctious and inquisitive little boy. I was able to look in her eyes, to watch her mannerisms, to see her reactions to members of my community as they told both harrowing accounts and inspirational solutions. That personal encounter weighed heavily in my decision." After losing narrowly last week in Michigan, Clinton's campaign doesn't appear to be taking Missouri for granted. In addition to her campaign stop in Affton, some notable surrogates are barnstorming across the state -- including former President Bill Clinton, their daughter Chelsea Clinton, and U.S. Sen. Cory Booker, D-New Jersey. "For me it’s not even a close call," Booker told St. Louis Public Radio reporter Camille Phillips in an interview Sunday. "I know all the candidates, even when there were 50 candidates in there. From going to Oxford with Bobby Jindal to working with Chris Christie to working as a fellow mayor with Martin O’Malley. Hillary Clinton is clearly the most qualified and clearly the person who has the best plan." Besides organizational support, Clinton may have a geographical edge. When she ran in 2008, Clinton carried most of Missouri’s rural counties over Obama. If she can replicate that performance and add African-American voters to the mix, she may be declaring victory in Missouri. Can young voters keep Sanders’ momentum going? In many respects, Sanders is at a disadvantage in both Illinois and Missouri. Many key Democratic officials with sophisticated political organization have endorsed Clinton. And if black voters continue to turn out for the former secretary of state, that could give her a leg up in Illinois and Missouri – two states with sizable African-American populations. 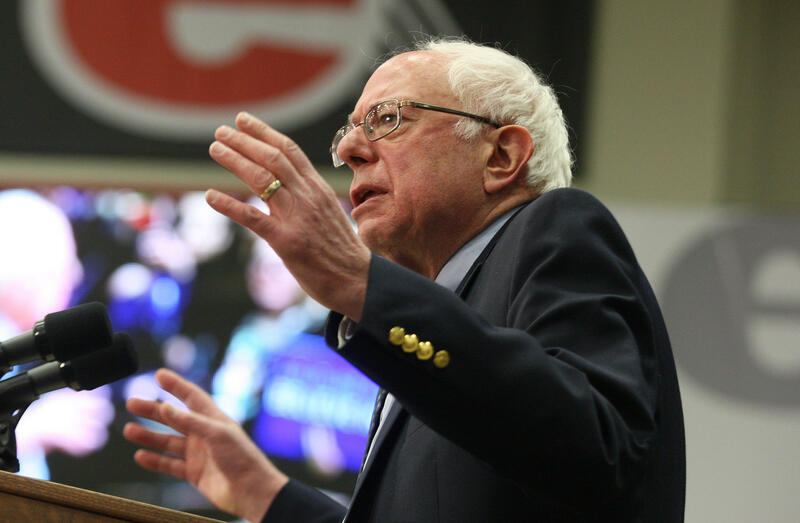 Democratic presidential candidate Sen. Bernie Sanders addresses nearly 5,000 people on the campus of Southern Illinois University-Edwardsville on March 4. But Sanders has gained a foothold of his own with younger voters who like Sanders’ advocacy for tuition-free college. And Sanders nabbed support in Missouri from activists who rose to prominence after Michael Brown’s shooting death. That includes Bruce Franks, a Democrat who is running for state representative in a St. Louis-based district. Beyond grassroots support, Sanders' campaign has been flooding the airwaves with his television advertisements. And Sanders is trying to turn Clinton's institutional advantages into a negative. For instance, Sanders sent out a Tweet recently that expressed relief that Chicago Mayor Rahm Emanuel didn't endorse his campaign. Even though Emanuel has a potent political organization, he's become increasingly unpopular among African-Americans after a spate of police-involved shootings. Even if Sanders doesn’t win Missouri or Illinois outright, it’s not out of the question that he does well enough in places with large college campuses. And if that happens, he's likely to pick off some delegates. Will Rubio jumpstart his flagging campaign? It’s been a rough couple of weeks for U.S. Sen. Marco Rubio. The Florida senator has fared dismally in recent primaries, and he’s far behind Trump in Sunshine State polls. It’s widely believed that Rubio will exit the race if he can’t prevail in his home state. U.S. Rep. Jason Smith, right, is one of numerous Missouri elected officials who are backing Marco Rubio. Rubio’s place in Missouri (and to some extent Illinois) resembles where former Massachusetts Gov. Mitt Romney was in 2008. Back then, many of the state’s top officials – such as then-Gov. Matt Blunt and former U.S. Sen. Jim Talent – backed Romney. And eight years later, many of the state’s leading GOP electeds – like House Speaker Todd Richardson and U.S. Rep. Jason Smith – are big Rubio supporters. Still, endorsements only went so far for Romney in 2008 – who narrowly finished third to former Arkansas Gov. Mike Huckabee and U.S. Sen. John McCain, R-Arizona. Back then though, Missouri was a winner-take-all state for Republicans. And if Rubio manages to come as close as Romney did, it’s not out of the question that he’ll get some delegates. But Rubio hasn't spent any time in Missouri -- which may be a sign that he's not expecting to do especially well in the Show Me State. 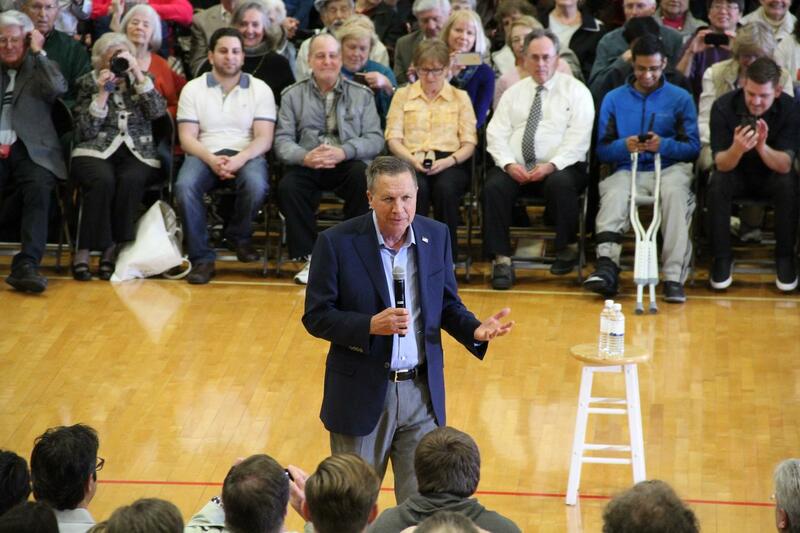 Can Kasich shore up support in the Midwest? For Ohio Gov. John Kasich, his hopes of ever becoming the GOP nominee rest on him winning his home state’s winner-take-all primary. But he’s also made an effort to pick up delegates in Illinois, a state with large pockets of centrist Republican voters around the Chicago suburbs. Ohio Gov. John Kasich is trying to appeal to centrist voters in Missouri and Illinois. 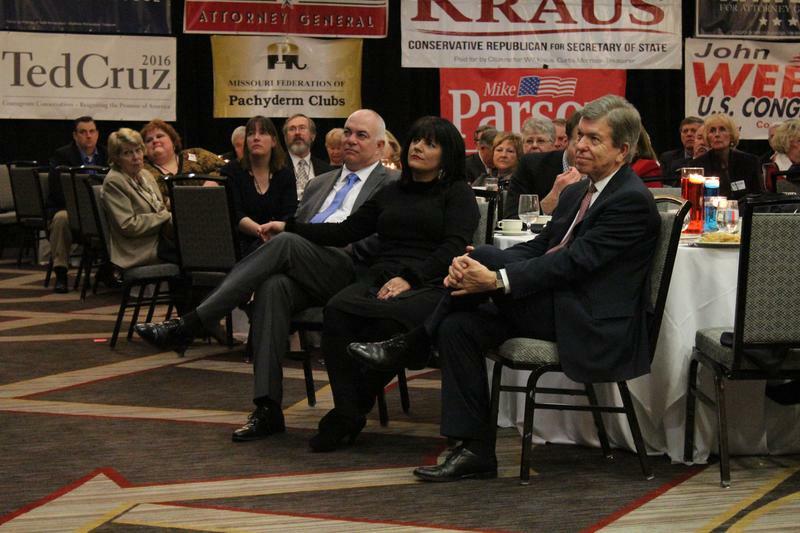 And Kasich gained some notable supporters in Missouri, including former U.S. Rep. Kenny Hulshof, R-Columbia, and state Sen. Ryan Silvey. Of course, if Kasich can’t win Ohio, then it really won’t matter how well he does in Missouri or Illinois – since his presidential campaign will likely be over. And like Rubio, Kasich hasn't made any appearances in Missouri in the run up to the primaries. Will Cruz’s Missouri connection help him capture Missouri? With Rubio’s campaign faltering, more and more Republicans are looking to U.S. Sen. Ted Cruz as the “anti-Trump.” It’s a somewhat surprising development, considering how many enemies the Texas senator has made within the Washington GOP establishment. But as the only other GOPer besides Trump to win a significant number of delegates, Trump detesters may not have much of a choice. 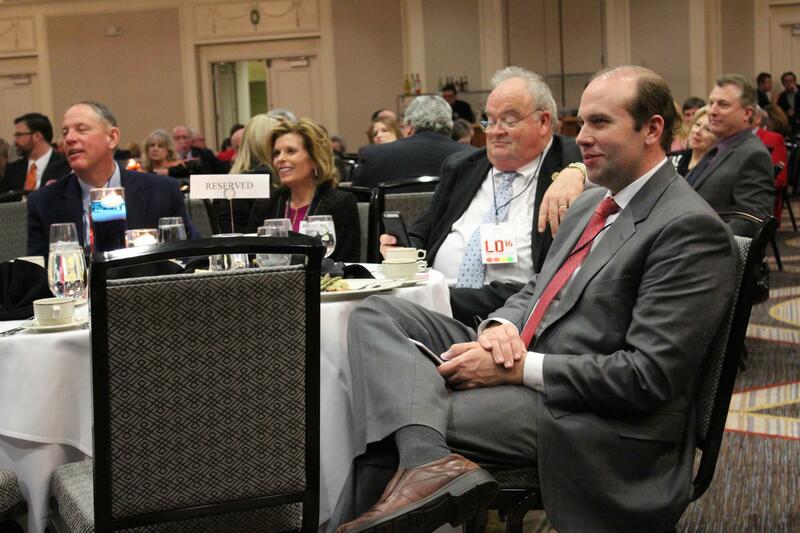 Jeff Roe is Ted Cruz's campaign manager. The Kansas City native knows just a little bit about prevailing in Missouri. When Heidi Cruz visited Belleville early last week, she mentioned that her husband’s campaign was focusing on southern and central Illinois – where many of the state’s most conservative voters live. 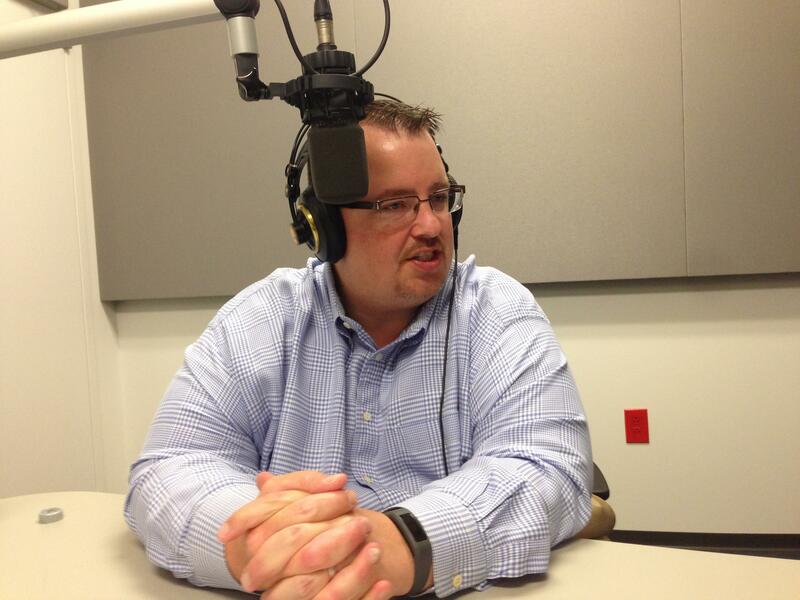 But Cruz might have a not-so-secret weapon in Missouri: His campaign manager Jeff Roe. Roe has been involved in countless races throughout the Show Me State, and he helped Huckabee nearly win Missouri in 2008. Johnson also noted that Missouri is a heavily evangelical state. And that big voting bloc could be attracted to Cruz’s take-no-prisoners social conservatism. Can Trump keep winning until we’re all bored of him winning? You could make a strong argument that Donald Trump is like The Undertaker at Wrestlemania – well, at least most of them. 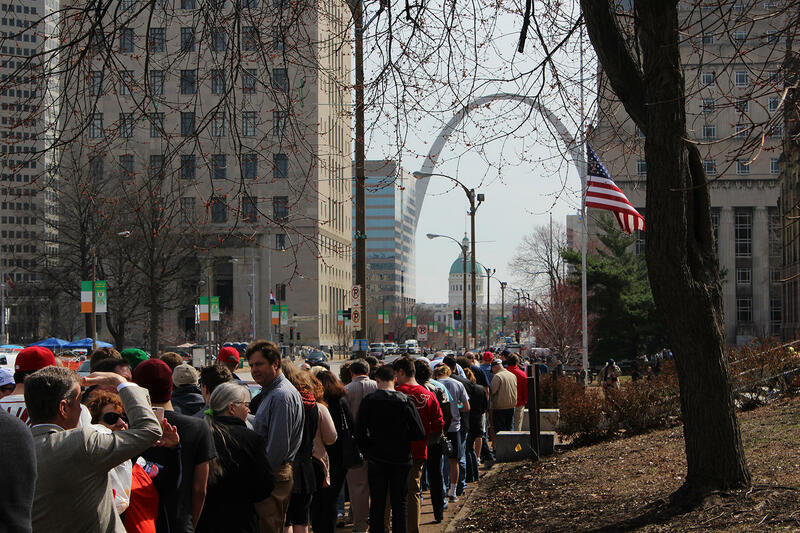 The line of supporters of Republican presidential candidate Donald Trump wrapped around a full city block in downtown St. Louis. Bear with me through this tortured professional wrestling metaphor: Most candidates who faced Trump’s level of criticism or uttered some of his controversial remarks would have been finished by now. But time and time again, Trump deflects everything thrown at him – and defies expectations from loser pundits. 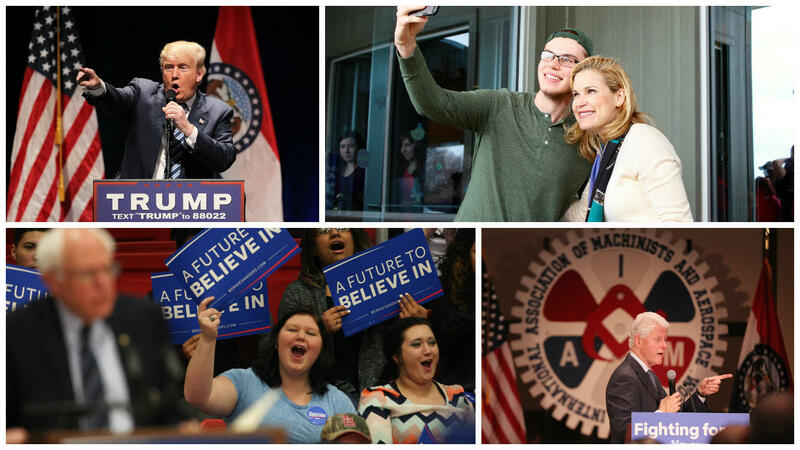 Trump could withstand political expectations yet again if he wins Missouri and Illinois. Not only does the wealthy businessman have little organization or institutional support in either state, but his campaign doesn’t seem to be making the best strategic decisions. For instance: He held a rally on Friday in the city of St. Louis, not exactly a mammoth Republican stronghold. By contrast, Cruz held an event in western St. Louis County – where lots and lots of GOP voters reside. Still, some Republicans see Trump's rise as an unstoppable phenomenon -- especially as other GOP candidates fall by the wayside. After all, he attracted thousands of passionate fans to the Peabody Opera House who were likely energized to stump for Trump. And some have hypothesized that protesters at Trump's rallies may galvanize his supporters to come to the polls on Tuesday. That reality is prompting some to look to November, where both states are slated to have competitive congressional and statewide elections. At least in Missouri, one official isn’t worried that Trump’s antics will sink the rest of the GOP ticket -- especially since Democrats may not put a lot of resources into winning the state. GOP presidential aspirant Donald Trump has promised that there will be so much winning if he’s elected that Americans will get bored of winning. But Frieda Keough isn’t sure that sentiment will carry the day in the Show Me State.